This week I watched the movie Frida again with Selma Hayek and I was blown away, yet again. My love for the artist is really beyond being able to describe. I think it started by my being mesmerized with her very colorful and festive wardrobe and the look that she is so famous for stylistically. 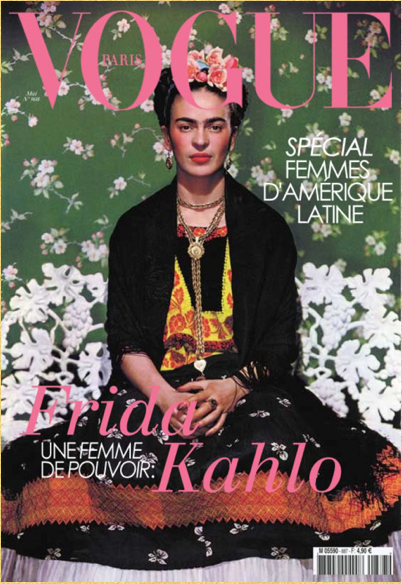 I’m a sucker for traditional Mexican attire…the embroidery, ruffles, lace, beads, turquoise, woven blankets…all of it! Everytime I watch the movie, there is something else that I latch onto that makes me fall in love with her all over again. What I really connected to this time was how strong of a woman she was. She endured a lot of pain in her life from an early age and she fought through it all. She never let her handicap or pain prevent her from doing what she wanted in life. She was a survivor, a warrior, a queen. 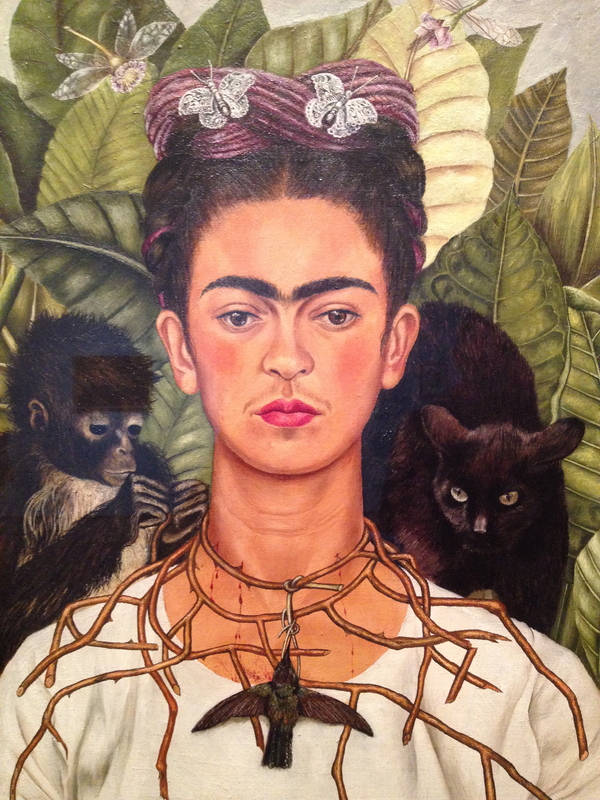 After I watched the movie, I remembered an exhibit just opened at LACMA called “In Wonderland: The Surrealist Adventures of Women Artists in Mexico and the US.” I was thrilled at the thought of seeing Frida’s work up close, especially after being so inspired by watching the movie again. There was a lot of self-portraiture during this surrealist movement. Women artists used art as a form of self expression and many shared their pain and heartache through their work. 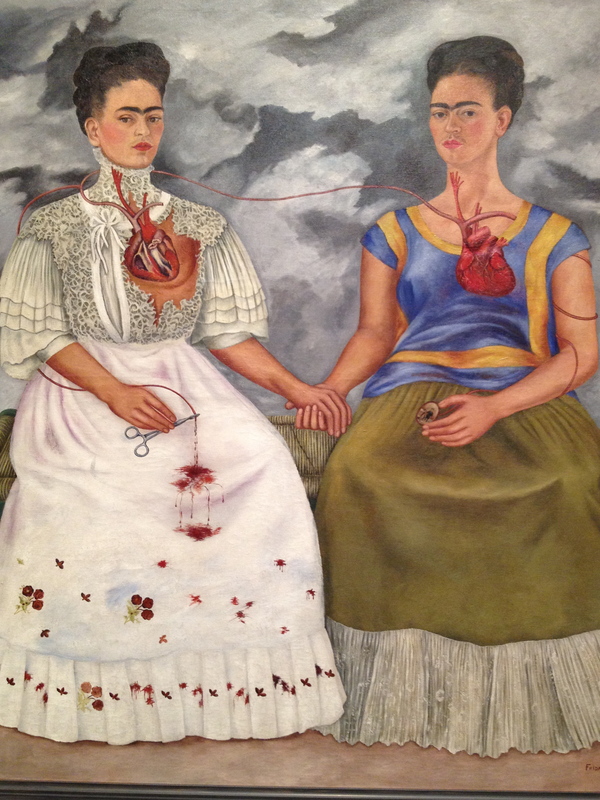 I have always been so moved by Frida’s bleeding heart in all of her work. She just put it all out there and you can feel her pain when you look at her work. This is one of my favorite pieces, which challenges thoughts on women’s identity and sexuality. I think I’m drawn to this one because of the obvious reference to her bleeding and broken heart. I’ve always been drawn to the people who live outside of society’s rules…the women who have paved the way for us to have the life that we currently have in 2012. 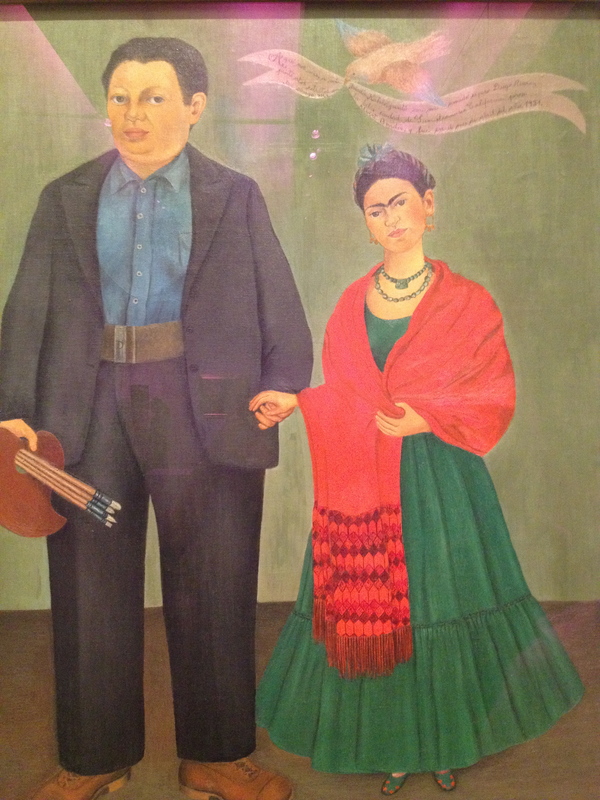 Frida didn’t listen to what society told her about her role as a woman in a traditional Mexican family. 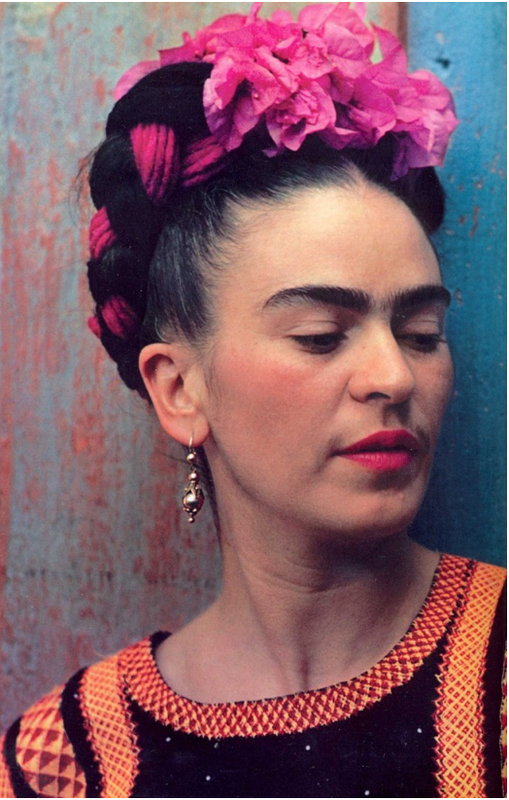 She challenged gender identity and she pursued a creative career as an artist which was not accepted by her family or her culture at the time. When I looked at her work up close yesterday, I cried for her pain and I cried in thanksgiving for the road that she paved that has inspired me and many other artists to keep going when things get difficult. She has helped me accept my role in society as a single woman forging a path on my own to greatness. For this, I will always be grateful to her. This song by Caetano Veloso is played at the end of the movie and I find it so beautiful in relation to Frida, her life and her afterlife. Have a listen. If you haven’t seen the movie, you should. And if you’ve seen it before, watch it again. It’s streaming on netflix and you should watch it. A beautifully done film…wish they made more movies this creative these days! 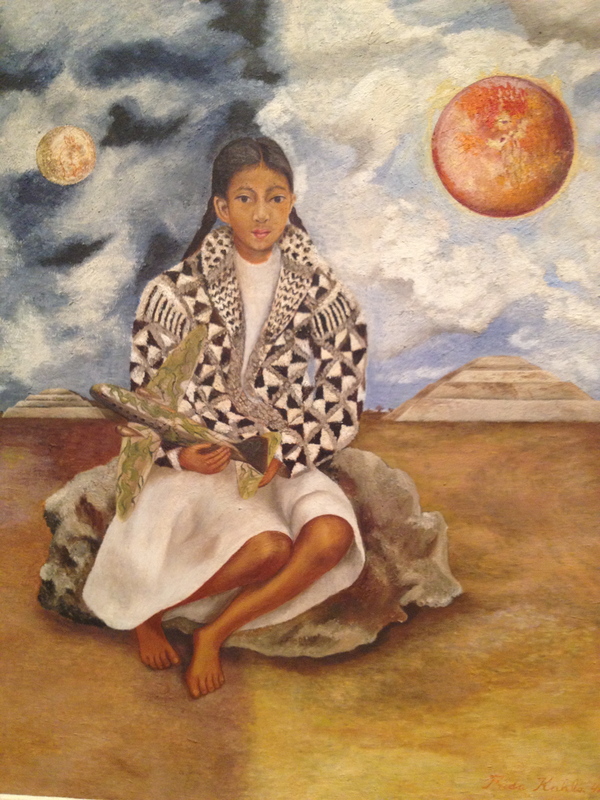 I saw her family home which she later shared with Diego Rivera outside Mexico City last summer. It was so inspiring! Her childhood bed was still in the house- her mother had hung things from the canopy to give her something to look at because she spent so much time in bed for her back. So much talent and such an interesting life.